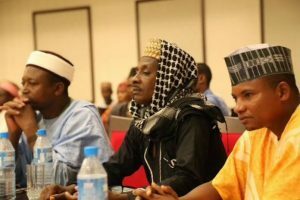 National President, Miyetti Allah Cattle Breeders’ Association of Nigeria, MACBAN, Alhaji Mohammadu Kiruwa has disclosed that the Sultan of Sokoto, Mohammadu Sa’ad Abubakar III, has given them two months to fish out criminal elements among herdsmen in the country. The National Secretary of MACBAN, Alhaji Baba Othman Ngelzarma, made the disclosure during a stakeholders’ meeting between the farmers and herdsmen held at the instance of the Edo State Police Command to foster peace in the various communities in the state. He said they were duty bound to proffer lasting solutions to the incessant herdsmen attacks on innocent citizens in the country. “This is just the beginning and we are going to sustain it. “This association has been in existence for over 30 years. So, it is a peaceful association. We do not condone violence and we condemn violence by whoever, either by a cattle herder or a farmer. We are not a party to violence. “Today, it is on record that our members have lost about two million cows as a result of cattle rustling. Our members also suffer from the hands of the kidnappers. Our members were not spared by the farmers and cattle breeders dispute. “Though we know we have our faults there because of the relationship between the tongue and teeth, so, such a thing is bound to happen.